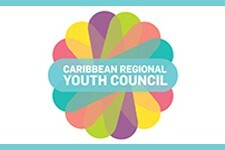 The Caribbean Regional Youth Council is the collective voice of National Youth Councils and represents the voice of youth for the Caribbean. It was established at the '3rd Caribbean Youth Leaders’ Summit' in 2013 with the inaugural Executive Board elected. It is supported by the Youth Division of The Commonwealth Secretariat. The CRYC has a number of strategic directions, including youth participation, representation, youth rights, and youth work. The full objectives are listed here: https://www.facebook.com/CRYC.it/about/.